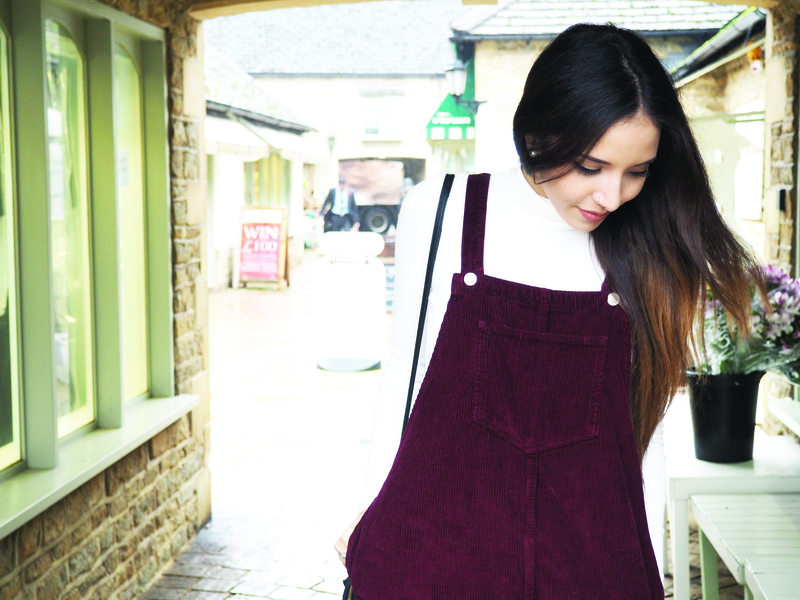 I’ve been on the fence about the pinafore for quite some time now. I’m a huge fan of the denim one too but I always felt like they wouldn’t suit me. A few days ago I just decided to take the plunge and get one, and after debating with myself between getting either the cream or burgundy, I went for the latter and I haven’t looked back since. Corduroy, silver hardware and pockets on the front, sides and back to boot, there’s nothing about this pinafore that I’m not keen on. I’m planning on wearing it with grey, black and stripy roll necks too and it’s just so freaking comfortable, on top of everything – The way I’d describe it is if you’re going out for a big meal… I would pick this outfit. There is just so much room! I can imagine wearing this in the summer too, with a crop top, no tights and trainers for a casual look. And for reference, I went for a Petite 10, and it’s perfect. PS. Regarding my post about about Isla – I just wanted to say thank you so much for all your amazing messages, emails and tweets. Adam and I truly appreciate each and every one, and we’re really looking forward to seeing all the amazing progress our little peach will be making in the next few years. She’s started stringing together three word sentences this week and we are so proud. Shot on the Olympus E-PL7 by Megan Wears.